Today’s transportation landscape has been infused with technological innovations that are both disruptive and ripe with possibilities. Driverless vehicles, 3D printing, cyber security advances, artificial intelligence and other developments will impact this industry in yet-to-be-seen ways. Ask those in the trenches now, however, and the current “trends” that come to mind are the everyday challenges: dealing with regulations, fuel prices (for better or worse) and the downturn of the global economy, just to start. Depending on the segment—air, sea, rail or trucking—these trends vary slightly. Taken as a whole, however, a couple of things are certain: the industry is resilient, and it will continue to evolve to meet the ever-changing demands of globalization, transportation type, environmental concerns and strategic use of data. No one can dispute the strength of the air sector of transportation. It’s just that it relates to passengers rather than freight. Perry Flint, head of corporate communications, The Americas, for the International Air Transport Association (IATA), puts things in perspective: Cargo revenues for the global airline industry in 2016 are expected to be about $49.6 billion. In 2012, that number was $63.5 billion, and in 2011, $66.9 billion. Several things are at work. First off is the aforementioned strength of the passenger segment; as traffic volumes continue to increase (revenue has doubled over the past decade), airlines continue to take delivery of new aircraft to meet the demand. In 2016 alone, according to IATA, commercial airlines are expected to add almost 1,900 planes. A lot of that new belly space ends up being cargo space, Flint said, increasing capacity in the market. 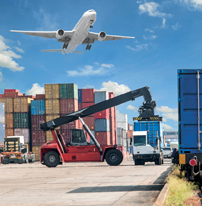 In May of this year, the percentage of filled freight load factor fell to 41.9 percent, a record low for any May. The passenger side of the business does help offset this for the industry overall; over the last two years, the airline industry has finally earned its cost of capital. But there is another issue to contend with, Flint said: the broader weakness in global trade growth. As onshoring grows and offshoring declines, cross-border supply chains have been shortened.